Outgoing postcard US-3133041 to Belarus shows the Fort Jefferson Lighthouse on Garden Key in the Dry Tortugas, Florida. Erected in 1876, Fort Jefferson Lighthouse, also known as Garden Key Lighthouse, helped warn sea traffic away from the dangerous shoals and reefs that surround the Florida Keys until it was deactivated in 1921. Today the three-story hexagonal lighthouse made of boilerplate iron is part of Dry Tortugas National Park established in 1992. 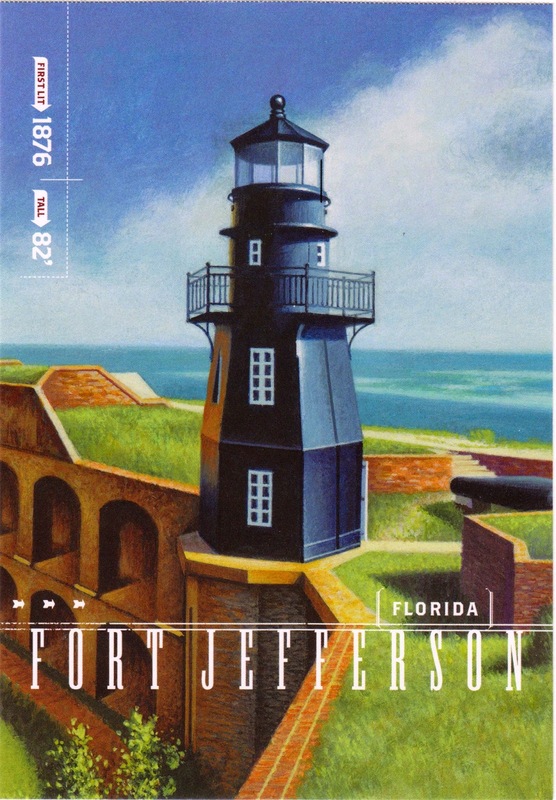 The lighthouse is one of the five Gulf Coast lighthouses featured on postage stamps and a stamped postcard book with pre-printed 28-cent postage issued by USPS in 2009.